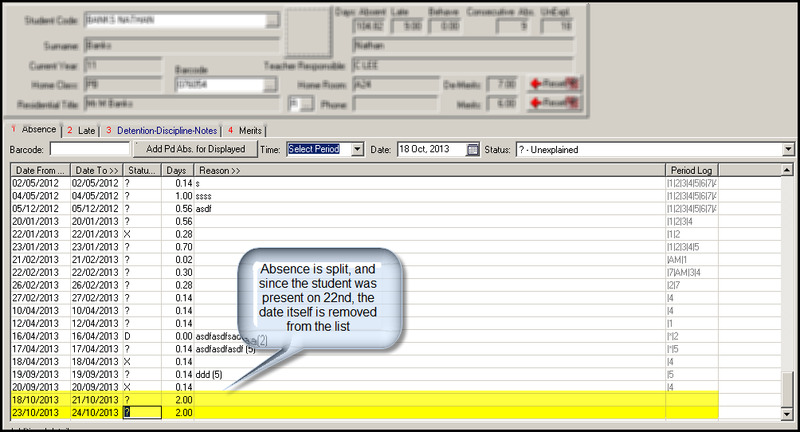 PCSchool has now made absences with a spanned date range in Back Office sensitive (and modified) to roll marking in the Spider. This entry was posted in Attendance, Behaviour & Attendance, Spider and tagged Absence Date Range, Classroom Management, pcschool, Roll Marking, school administration software, School Administration System, School Management Software, School Management System, school software, Spanned Absence, Student Information System, student management Software, Student Management System, web spider by studentmanagementsoftware. Bookmark the permalink.